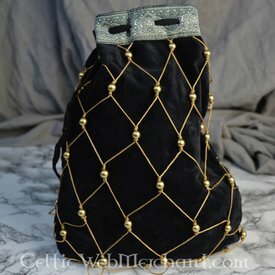 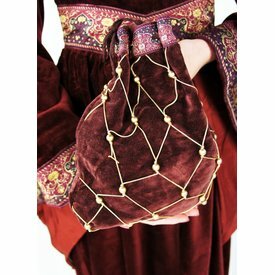 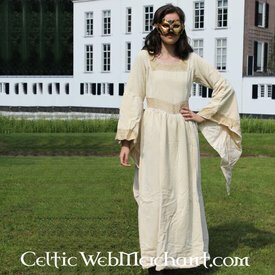 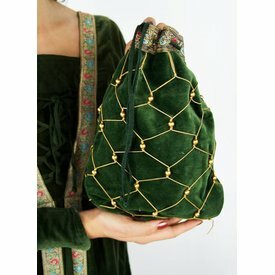 This luxurious pouch can be used for Medieval and Renaissance re-enactment. 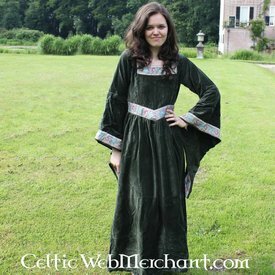 It completes a noblewoman, an aristocratic or royal outfit. 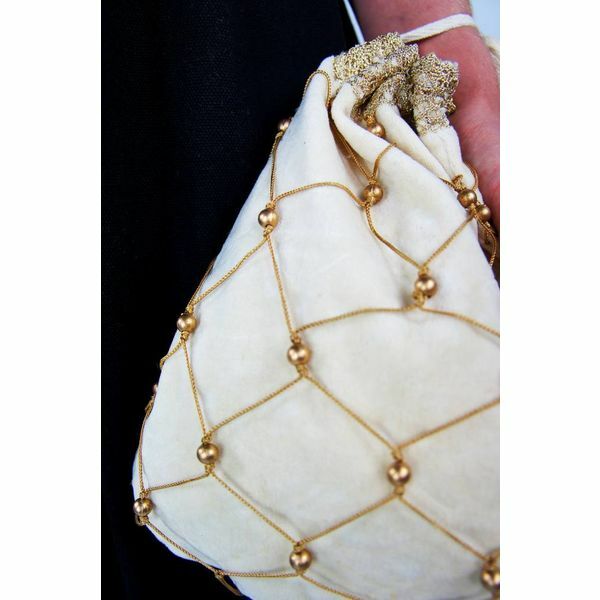 The velvety fabric of the pouch is decorated with a pattern of imitation gold thread and imitation pearls. 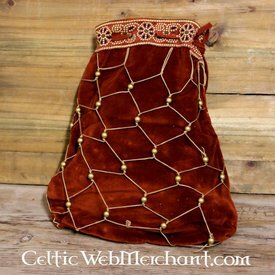 It is finished by the beautifully decorated upper edge, resembling a luxurious tapestry.